Victor Helaire David, 6th son and 8th child of Paul Helaire David and Josephine Langlinais, was born on 11 July 1860 in Youngsville, Louisiana and baptized at Saint Anne Catholic Church in Youngsville. Birth Secondary Source: Southwest Louisiana Church and Civil Records by Rev. Donald J. Hebert (1855-1860); v.6; p.150 (DAVID, Victor Helaire, (Hilaire & Josephine LANGLINAIS) b. 11 July 1860 Youngsville Ch,: v.1; p.10). On 2 January 1881, Victor Helaire David married Donnatilde Monteau at Saint Marie Magdalen Catholic Church, Abbeville, Louisiana. Marriage Primary Source: Saint Marie Magdalen Catholic Church register v.2, p.199. Marriage Secondary Source: Southwest Louisiana Church and Civil Records by Rev. Donald J. Hebert (1881-1882), v.15; p.146) DAVID, Victor (d. Hilaire & Josephine LANGLINAIS) m. 2 Jan 1881 Donatille MONTEAU (Abbeville Ch,: v.2; p.199). Victor Helaire David died at the age of 81 on 20 July 1941 in Kaplan, Louisiana. He was laid to rest in the Holy Rosary Catholic Cemetery, Kaplan, Louisiana. Death Secondary Source: Holy Rosary Catholic Cemetery, Kaplan, Louisiana, Vermillion Parish Researched by Edwin Hebert in January 1997; Burial location: section N, row 7, name: David, Victor birth: no date, death: no date. Donnatilde Monteau, born 28 February 1860 in Abbeville, Louisiana, Vermillion Parish, was the daughter of Louis Monteau and Sylvanie Hebert. She died in Louisiana, Vermillion Parish on 26 October 1943 and was laid to rest along side her husband of 60 years, Victor Helaire, in the Holy Rosary Catholic Cemetery, Kaplan, Louisiana, , Vermillion Parish. Death Secondary Source: Holy Rosary Catholic Cemetery, Kaplan, Louisiana, Vermillion Parish Researched by Edwin Hebert in January 1997; Burial locaion: section N, row 7, name: David, Mrs. Victor birth: no date, death: no date. 1. Molear David, a son, was born in Abbeville, Louisiana on 02 October 1882. He married Agraeya Hargrave at Saint Marie Magdalen Catholic Church in Abbeville, Louisiana on 6 April 1902. Molear died in Louisiana on 17 May 1956 and was laid to rest in the Holy Rosary Catholic Cemetery in Kaplan, Louisiana. Birth Primary Source: Saint Mary Magdalen Catholic Church register v.4; p.324, Abbeville, Louisiana. Marriage Primary Source: Saint Marie Magdalen Catholic Church register v.3; p.421. Marriage Secondary Source: Southwest Louisiana Church and Civil Records by Rev. Donald J. Hebert (1902), v.34; p.548) DAVID, Moleard (minor son of Victor & Donathilde Nantean) m. 6 April 1902 Agraeya HARGRAVE (Abbeville Ch. v.3; p.421). Birth/Death Secondary Source: Holy Rosary Catholic Cemetery, Kaplan, Louisiana, Vermillion Parish Researched by Edwin Hebert in January 1997; Burial locaion: section J, row 3, name: Molicar, David, birth: Sep 2, 1882, death: May 17, 1956. 2. Euphema David, a daughter, was born in Abbeville, Louisiana on 23 February 1884. She married Cleomere Harrington at Saint Marie Magdalen Catholic Church in Abbeville, Louisiana on 11 November 1903. Euphema died in Louisiana, Vermilion Parish on 1 December 1937. Marriage Primary Source: Southwest Louisiana Church and Civil Records by Rev. Donald J. Hebert (1903), v.35; p1.41) DAVID, Eiphema m. 11 November 1903 Cleomere HARRINGTON (Abbeville Ct.Hse. : Mar. #2919). Marriage Primary Source: Saint Marie Magdalen Catholic Church register v.3; p.464. Marriage Secondary Source: Southwest Louisiana Church and Civil Records by Rev. Donald J. Hebert (1903), v35; p141) DAVID, Eupheina (Victor & Donathilde MANSEAU) m. 30 Nov.1903 Cleomere HARRINGTON (Abbeville Ch,: v.3; p. 64). 3. Editha David, a daughter, was born in Abbeville, Louisiana on 11 January 1886. She married Ulysse Primeaux at Saint Marie Magdalen Catholic Church in Abbeville, Louisiana on 14 December 1908. 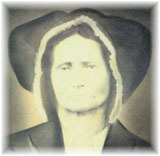 Editha died in Gueydan, Louisiana, Vermilion Parish on 22 August 1966 and was laid to rest in the Holy Rosary Catholic Cemetery in Kaplan, Louisiana. Birth Primary Source: Saint Mary Magdalen Catholic Church register v.5, p.138, Abbeville, Louisiana. Marriage Primary Source: Southwest Louisiana Church and Civil Records by Rev. Donald J. Hebert (1903), v.5; p.141) DAVID, Editha m. 28 Nov. 1908 Ulysse PRIMEAUX (Abbeville Ct.Hse. : Mar. #4216). Marriage Primary Source: Saint Marie Magdalen Catholic Church register v.4; p.148. Marriage Secondary Source: Southwest Louisiana Church and Civil Records by Rev. Donald J. Hebert (1902), v.34; p.548) DAVID, Editha (Victor & Donatilla MantEAUX) m. 14 Dec 1908 Ulysse PRIMEAUX (Abbeville Ch,: v.4; p.148). Birth/Death Secondary Source: Holy Rosary Catholic Cemetery, Kaplan, Louisiana, Vermillion Parish Researched by Edwin Hebert in January 1997; Burial locaion: section J, row 1, name: Primeaux, Editha, David, birth: Jan 11, 1886, death: Aug 22, 1966. 4. Molieus David, a daughter born Abbeville, Louisiana, Vermilion Parish on 21 July 1988. He married Elea Bouillon at Saint Marie Magdalen Catholic Church in Abbeville, Louisiana on 20 December 1909. Molieus died in Louisiana on 17 May 1956. Birth Primary Source: Saint Mary Magdalen Catholic Church register v.5; p.257, Abbeville, Louisiana. 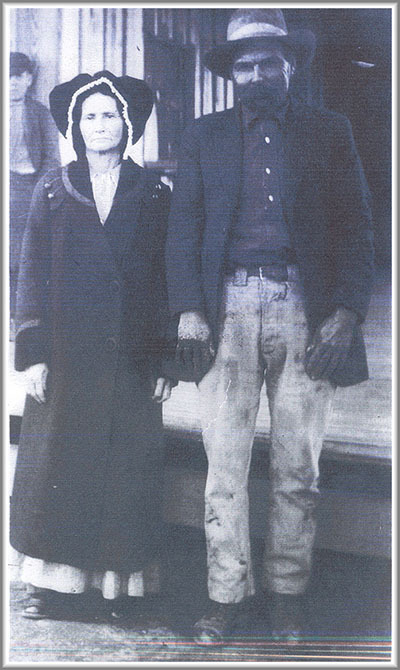 Marriage Primary Source: Southwest Louisiana Church and Civil Records by Rev. Donald J. Hebert (1909), v.41; p.141) DAVID, Moleus m. 4 Dec. 1909 Elea BOUILLON (Abbeville Ct.Hse. : Mar. #4464). Marriage Primary Source: Saint Marie Magdalen Catholic Church register v 4; p 175. Marriage Secondary Source: Southwest Louisiana Church and Civil Records by Rev. Donald J. Hebert (1909), v.41; p.141) DAVID, Moleus (Victor & Donatilda MANTEAUX) m. 20 Dec. 1909 Elia BOUILLON (Abbeville Ch,: v.4; p.175). 5. Victoria David, a daughter, was born in Kaplan, Louisiana on 29 August 1890. She died in Abbeville, Louisiana on 26 February 1931 and was laid to rest in the Holy Rosary Catholic Cemetery in Kaplan, Louisiana. Birth Primary Source: Saint Mary Magdalen Catholic Church register v.5; p.368, Abbeville, Louisiana. Death Secondary Source: Holy Rosary Catholic Cemetery, Kaplan, Louisiana, Vermillion Parish Researched by Edwin Hebert in January 1997; Burial locaion: section K, row 7, name: David, Victory birth: Aug, 1891, death: Feb 27 1931. 6. Jean Marie David, a son, born in Newnezes, Louisiana, Vermilion Parish on 20 September 1891. He married Agnes Marcantel at Saint Marie Magdalen Catholic Church in Abbeville, Louisiana on 18 February 1929. Jean Marie died in Oberlin, Louisiana, Allen Parish on 16 February 1945. Birth Primary Source: Saint Mary Magdalen Catholic Church register v.6; p.72, Abbeville, Louisiana. 7. Emir David, a son, born in Abbeville, Louisiana, Vermilion Parish on 16 December 1893. He died on 17 May 1985 and was laid to rest in the Holy Rosary Catholic Cemetery in Kaplan, Louisiana. Birth/Death Secondary Source: Holy Rosary Catholic Cemetery, Kaplan, Louisiana, Vermillion Parish Researched by Edwin Hebert in January 1997; Burial locaion: section A, row 1, name: David, Emair, birth: Dec 16, 1893, death: May 17, 1985. 8. Josephine David, a daughter, born born in Abbeville, Louisiana, Vermilion Parish on 24 November 1897. She died in Kaplan, Louisiana on 18 May 1984 and was laid to rest in the Holy Rosary Catholic Cemetery in Kaplan, Louisiana. Birth/Death Secondary Source: Holy Rosary Catholic Cemetery, Kaplan, Louisiana, Vermillion Parish Researched by Edwin Hebert in January 1997; Burial locaion: section C, row 17, name: Herpin, Josephine David, birth: Nov 24, 1897, death: May 17, 1985. 9. Joseph Dowodale David, a son, born in Abbeville, Louisiana, Vermilion Parish on 25 October 1898. He died in Kaplan, Louisiana on 7 December 1978. Birth Primary Source: Saint Mary Magdalen Catholic Church register v.7; p.237, Abbeville, Louisiana. 10. Louisiana David, a daughter, born in Louisiana on 5 November 1903. She died in Louisiana on 18 August 1941 and was laid to rest in the Holy Rosary Catholic Cemetery in Kaplan, Louisiana. Birth/Death Secondary Source: Holy Rosary Catholic Cemetery, Kaplan, Louisiana, Vermillion Parish Researched by Edwin Hebert in January 1997; Burial locaion: section N, row 7, name: David, Lousnia, birth: 1903, death: 1941.